Welcome to the home of affordable airport shuttle and transportation service in Columbia Maryland. 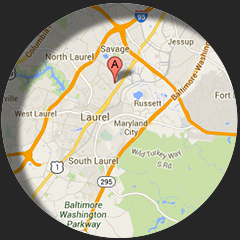 We are the number one car service of choice in Columbia Md, and surrounding areas. Our attention to detail has earned us numerous loyal customers and countless awards over the years. The testimonials on this site speak volumes about our excellent service in the community. Your safety/satisfaction is our ultimate goal and top priority, and that's why all our drivers are thoroughly screened and well trained to achieve this goal. Drivers and customer service reps are friendly and courteous always. We service BWI, Dulles, Reagan and Philly Airports. The vehicles in our fleet are well maintained to ensure your peace of mind knowing that you will get to your destination safe and sound. So if you are in town for business or pleasure and need to get away for a few hours on a night out, we offer hourly sedan service in Columbia Maryland that is affordable and typically cheaper than the filthy Columbia taxi. All you have to do is make an easy online reservation on this site today, or call our dedicated and friendly customer service reps at 410-975-8200 to customize your trip now. Enjoy your ride and see you on the road.